A Zero Waste lifestyle is not something we can achieve overnight. You do it step-by-step, at your own rhythm. You must feel good about the changes you are making in your life. However, once you start, you will surely want to do more as you will start feeling the benefits! It’s the domino effect, you’ve just got to start with a little momentum. So what will you start with? 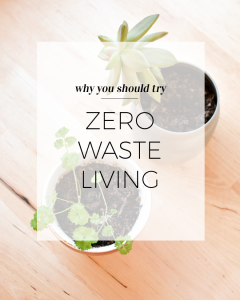 Select the commitments you want to make to yourself at the end of this page, and we’ll send you your Zero Waste Lifestyle Chart. Create a small compost bin in your home and put in there all your food scraps and peelings. Create a simple compost bin in your garden (or your community) that will generate natural fertilizer. Composting can decrease up to 50% of your solid waste! Use a reusable bag. A single-use plastic bag can take 1,000 years to degrade. Always have one with you in case you make a purchase. We are going to get some made soon! Register to be the first to have it here. Refuse to have your vegetables wrapped in plastic bags, instead ask for the sticker to be put directly on the fruit, or ask for a paper bag instead. Have also with you several fabric produce bags when you go grocery shopping. Purchase or make them yourselves and be sure to wash them often! Use a reusable water bottle. Tap water is fine to drink, you can also add a stick of activated carbon on it if you want to filter it. Buy less stuff and buy second-hand. No only you will save lots of money this way, but you can enjoy new experiences such as clothes swap parties with friends! Purchase food in bulk. 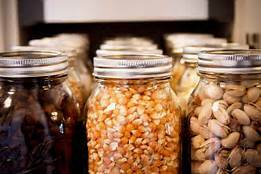 Items like cereal, pasta, and rice can be purchases in certain shops from bulk bins. Use your usable bag or container. You save money and unnecessary packaging. Say goodbye to plastic cutlery. Always have a reusable set in your bag in case you eat on the go. Stop using white wipes. They are expensive, unnecessary, and often have toxic chemicals. Instead, use (organic coconut) oil and reusable cotton rounds. Use white vinegar as your main cleaning product as home. It is an effective and cheap natural way to clean your home. Use soap and stop buying body wash in packaging. It is wasteful, not recyclable everywhere, and contains chemicals. Simply buy a good quality soap. It is more economical. Pack it when you travel in a reusable container. Purchase toilet paper made of recycled paper, and not wrapped in plastic. Use a menstruation cup instead of tampon with plastic applicator and non organic tampon that contains lots of pesticide. Once you use it, you won’t want to go back! Bring your own container for take-out or your restaurant doggy-bag since many restaurants use styrofoam (really expensive to recycle! therefore rarely done). Are you ready to start your journey towards Zero Waste? What are you ready to start with?